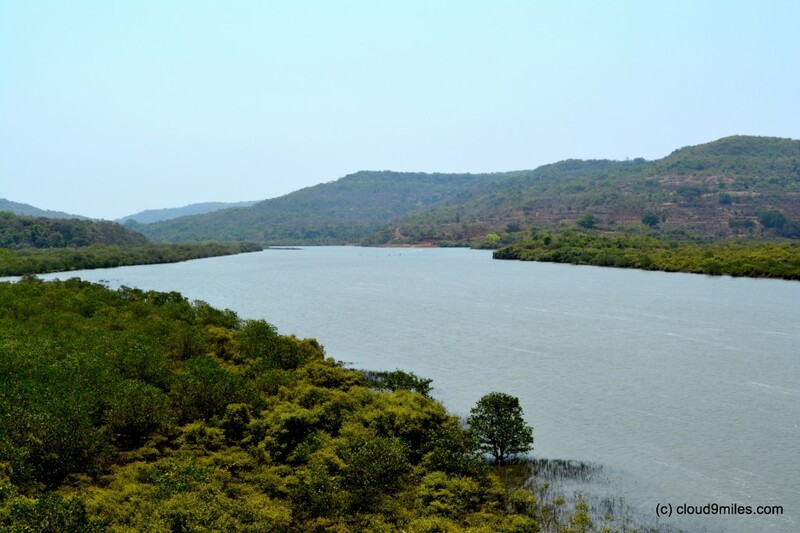 Anjarle – The untouched and unspoiled!!! 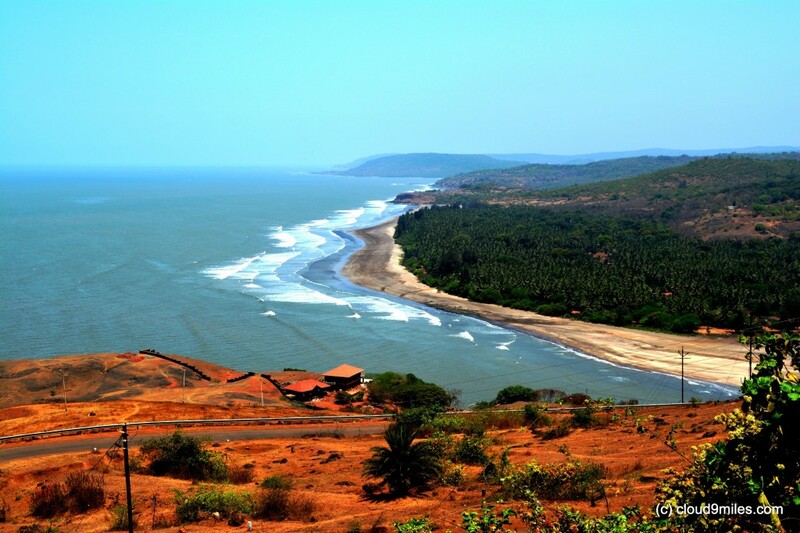 Anjarle is a tiny village in the Dapoli taluka of Ratnagiri district in the Maharashtra state of India and is one of the finest places in Konkan. It is a small port located near the mouth of Jog river. 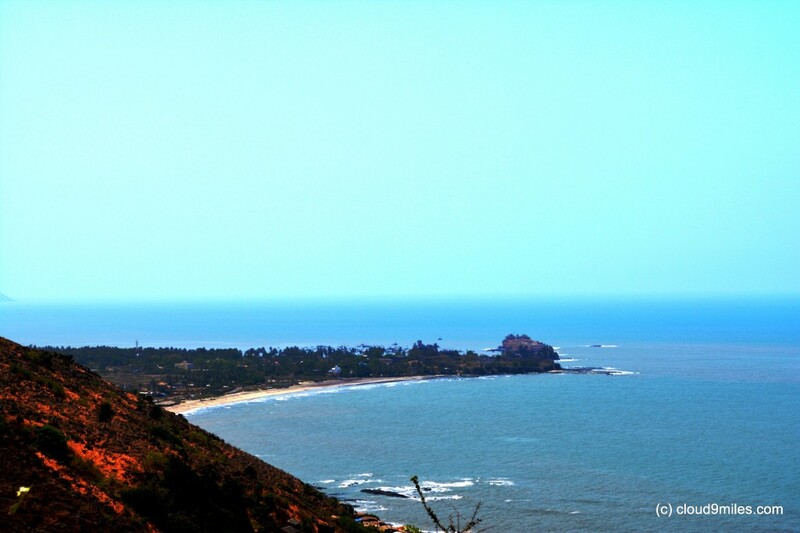 It is just 25 km from Dapoli and is famous for the ‘Kadyawarcha Ganpati’ (Ganesh temple situated on a cliff). 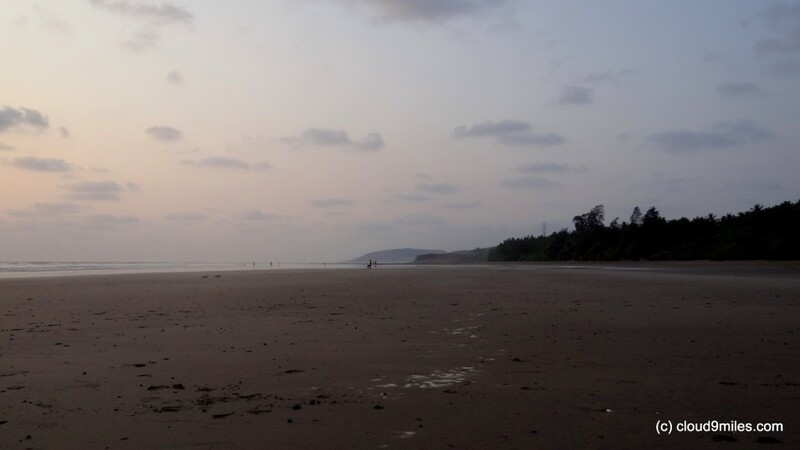 Anjarle has untouched and unspoiled beach surrounded by palms and trees. Tourism facilities are very limited. This Palm Beach is an ideal place to visit on a long weekend. There are other untouched beaches on the region and are equally beautiful. 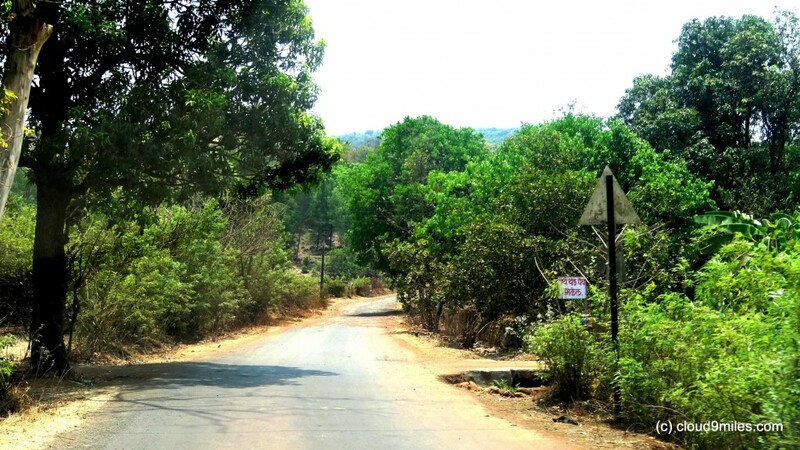 Anjarle is a nice little, green village having basic facilities. However, as there are very few resort or hotels at Anjarle, but one can find home stays for accommodation and food. Local people are friendly, humble and helpful. 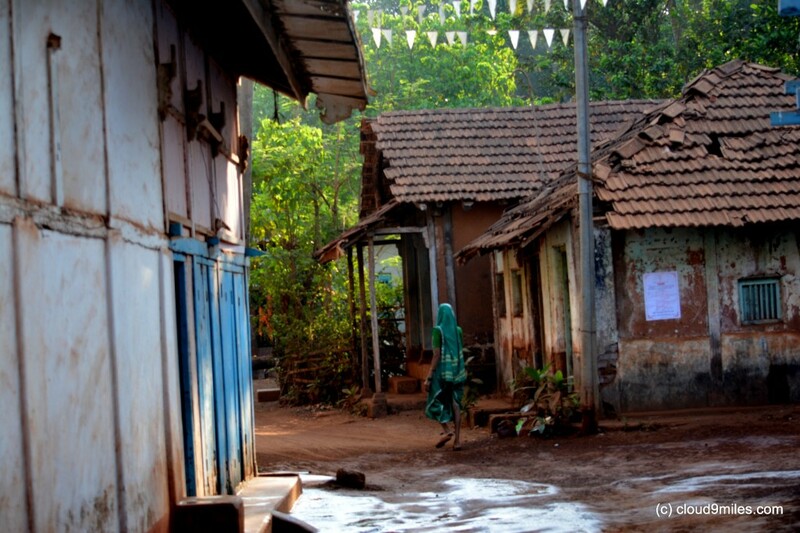 Villagers also provide rented accommodation in their homes and serve delicious home-made food. 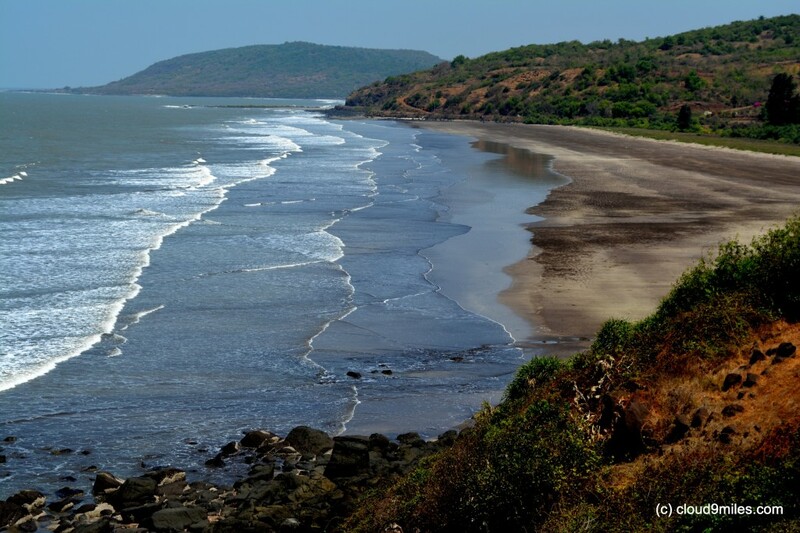 The nearby places to visit from Anjarle are Kelshi Beach just 8 KM away, Murud around 20 KM away, and Dapoli around 25 KM away. 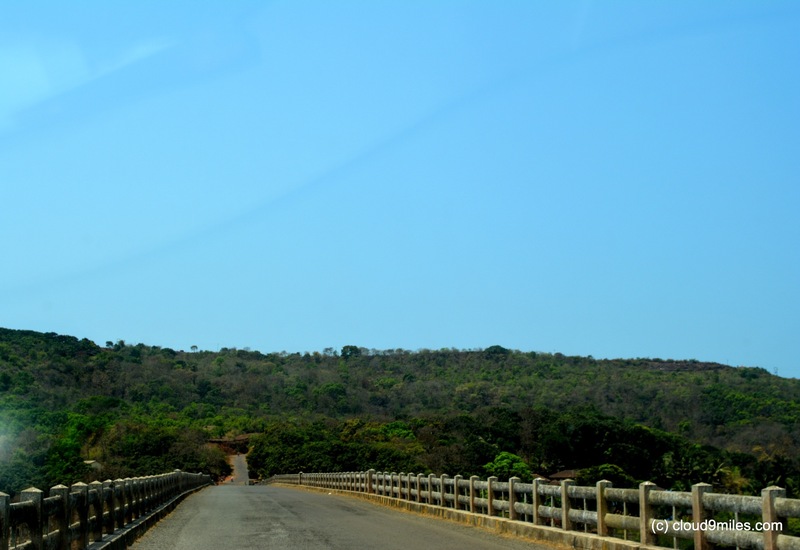 We started our journey around 8:30 a.m. and straight away headed towards Mumbai – Goa Highway (NH – 17). We stopped after crossing Panvel at a famous snacks corner for breakfast as we were very hungry. Once we are loaded, we decided to cover the distance till Anjarle nonstop. Our navigator was guiding us for the route and we were following the same. We took the exit from NH 17 at Lonere and took the SH 99 for a small distance. After crossing Goregaon we look a left turn to SH 272 and followed it up till Mandangad. After that we covered our journey via SH 102 and finally SH 103. The conditions of the road after exiting the highway were not great and narrow as well. The journey became a bit tiring but it had some beautiful landscapes especially near the ghat section. 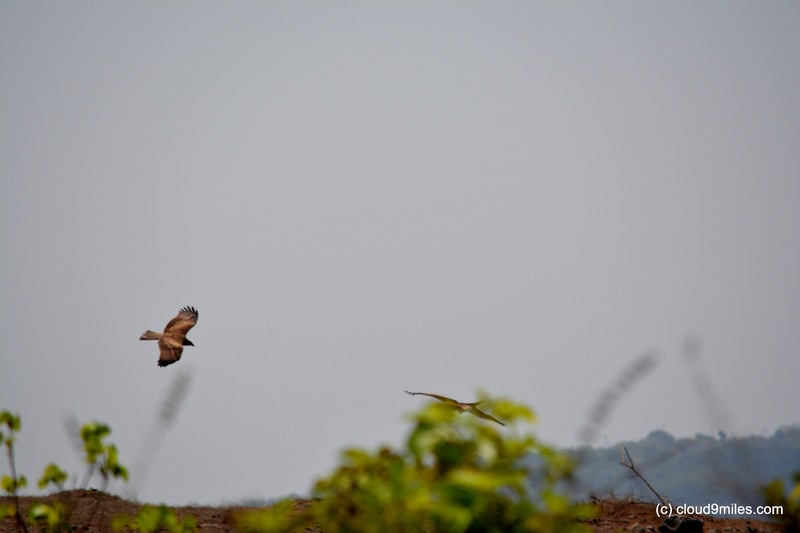 We reached Anjarle at 2:00 p.m. almost covering 190 KM and the first look at it expressed it all. 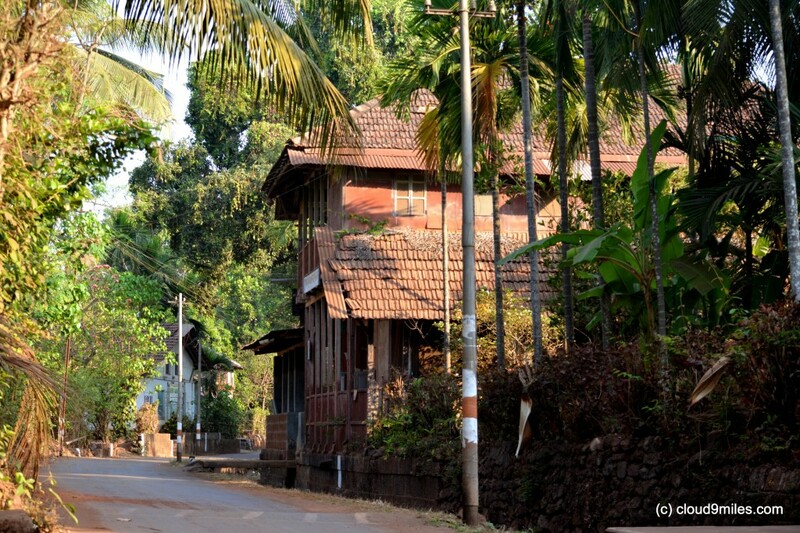 A small and old village with narrow lanes, lots of greenery, and fresh environment. We started our quest for an accommodation and reached the only resort in the place but to our utter surprise it was full due to the long weekend. We searched for another hotel or resort but did not find any. We were feeling very hungry and did not have any accommodation as well. That’s the time we decided to work like a sales agent and gave a cold call and believe us it was our first call only that gave us a fruitful result. We got a reference for a homestay accommodation adjacent to the beach from a shopkeeper in the village. The room was very basic but we decided to give it a try as our philosophy is to explore the beauty of the place. Those who are very particular about accommodation should not venture into this place. We immediately placed an order for the lunch and as it’s a coastal region so it must be a non vegetarian food. We enjoyed the home made food and it was amazing. The best part about the place where we were staying was its proximity to the beach and its courtyard. We relaxed in the courtyard and the feeling was awesome. We were fully drenched by relentlessly flowing fresh and cool breeze. We crave for such natural environment near us in the city but in vain. Just at the onset of evening we started our march towards the beach. In no time we were on the beach and were amazed by the beauty of the beach. The beach surrounded by palm trees is really untouched and unspoiled. It was as fresh as it can be and very calm and clean. We witnessed very few people on the beach and there were no commercial activity as well. Also, the beach is very safe to venture into as it is flat for quite a long distance. All our tiredness had vanished till this time and we were thoroughly enjoying the environment. The view of suvarndurga fort standing tall in the sea was making its own statement about the glorious past. We were waiting for the sunset but the clouds have their own plan of showing their own magnanimity of engulfing the sun and we witnessed the sun disappearing into the clouds with a spectacular view. After sunset we reached our room and got afresh. We had a long conversation with the owner of the house. While talking to the owner we came to know about the age of the house and believe us it was 125 years old. We got curious and asked the owners if we can see the house and they obliged us. 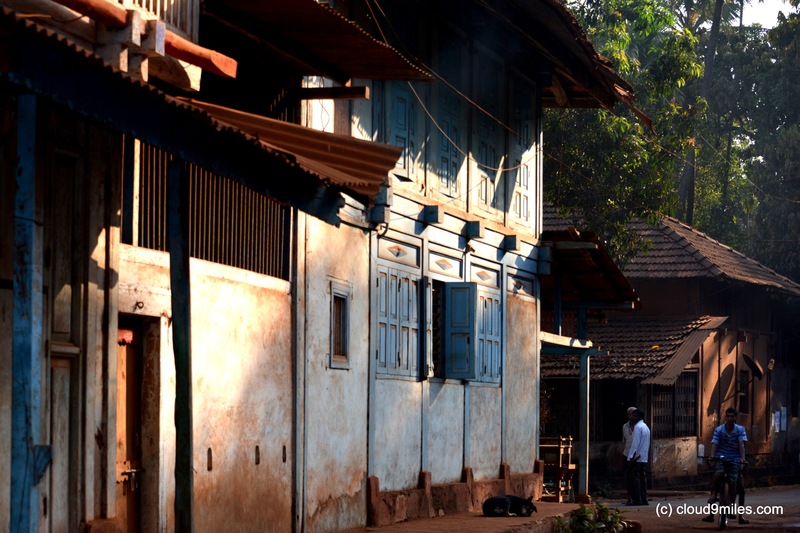 It is still standing firm and it’s amazing to note that a house made of mud and woods is witnessing a change in era. We also came to know about the development of tourism in the place is at nascent stage only. It has gained momentum in the last two years. During the day we have noticed that the people of the village are very humble, friendly, and helpful. 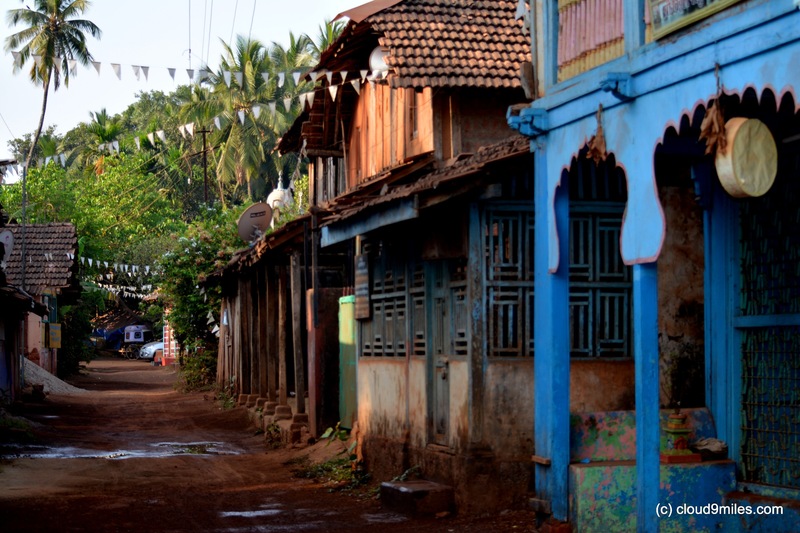 After a delicious Konkani food we went for a walk in the village and felt the darkness of the night.The start to the next morning was good; we went for a walk on the narrow lanes of the village and captured the same through our lens. It is a very old village with lot of old structures. We decided to explore nearby places as well and checked out from the room after having breakfast. We headed towards Kelshi Beach which was just 8 KM from Anjarle. En route to Kelshi we were bestowed by the sheer natural beauty of the place. 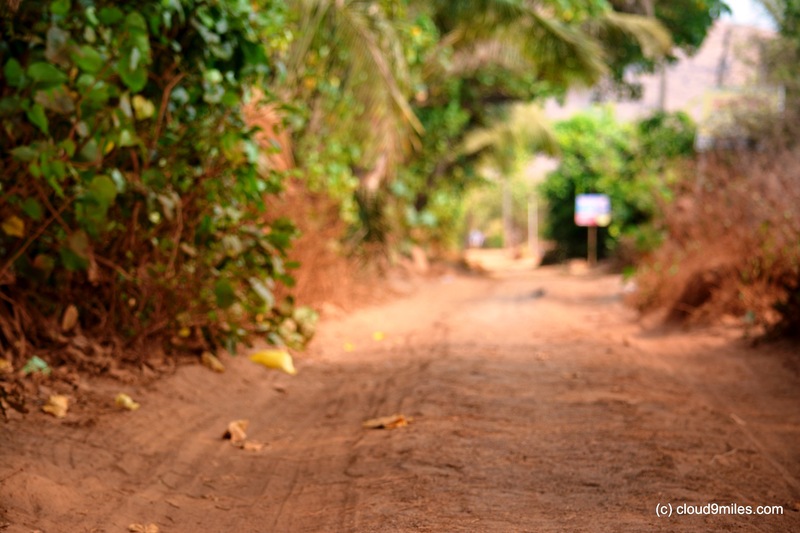 The road just running parallel to the sea shore was unfolding a mystery with every turn. 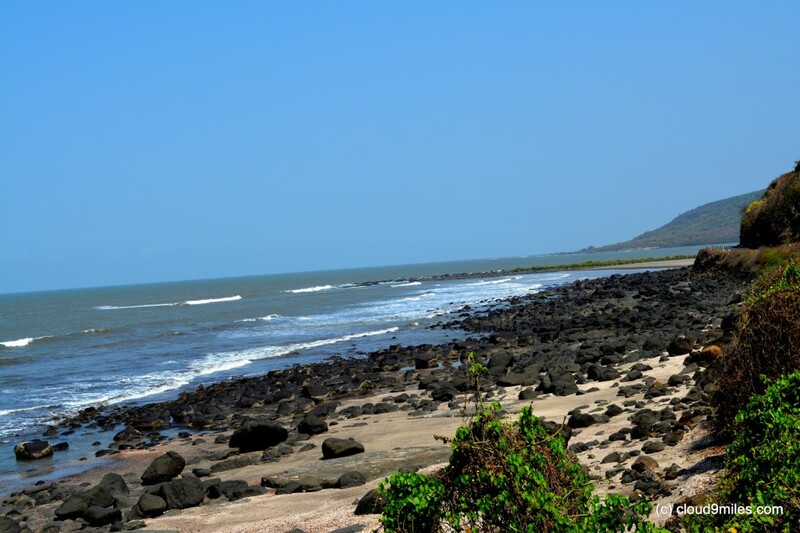 The spectacular view of untouched beaches on one side and greenery on the other side of the road was amazing. At one place there was an entry towards a small cliff and we stopped there to admire the nature and the view from the cliff was breathtaking. 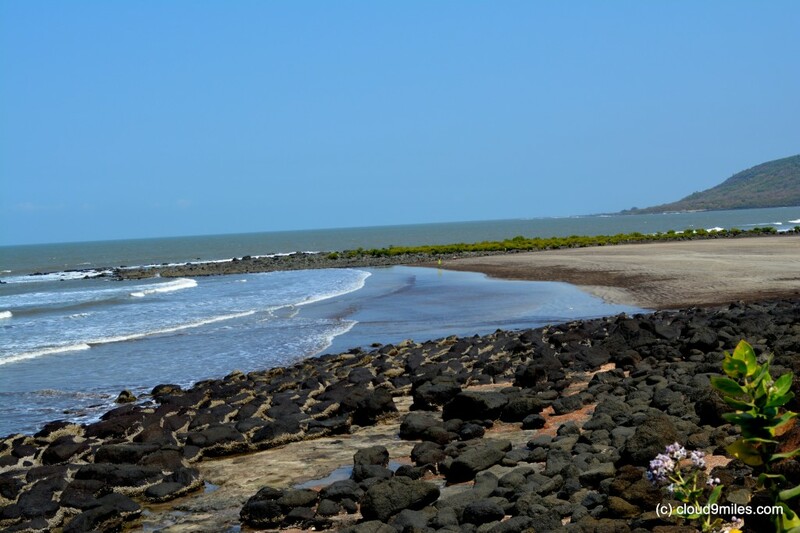 The rocky shores, the beaches, cool breeze, the vast sea, and the sky they have all come to the party at one place. We won’t be able to explain the beauty of the place through words but pictures says it all. 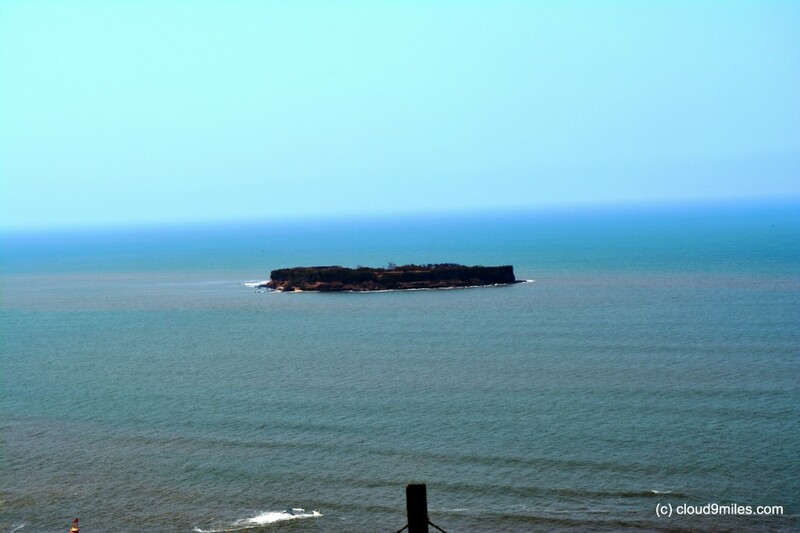 With heavy heart we bid adieu to this lovely place and headed towards Murud which is just 20 KM away. We again passed through the narrow roads of the village and crossed the Jog River through a bridge (earlier this bridge was not built and people used to cross the river through ferry). The jog river, the bridge, sangam, and the backwaters were a treat to watch. After the bridge we started climbing on the hill. 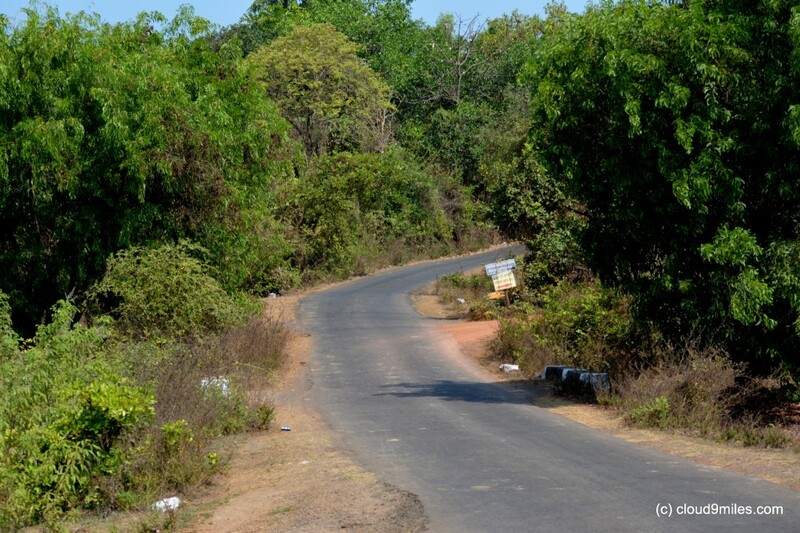 The zigzag road and the view of the surroundings were mesmerizing. After gaining some height we stopped to admire the view of the place. 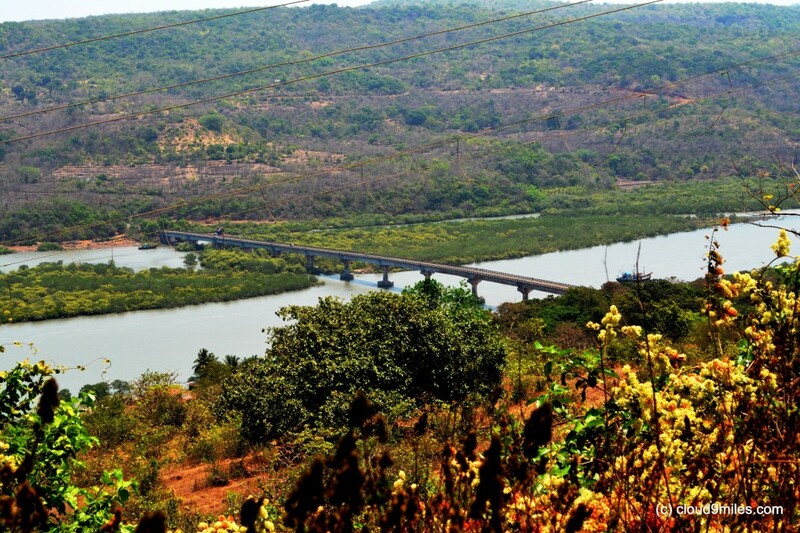 The view of fishermen’s village at the base, the Jog River, the bridge, the fort and Anjarle Beach from the hill top was spectacular. 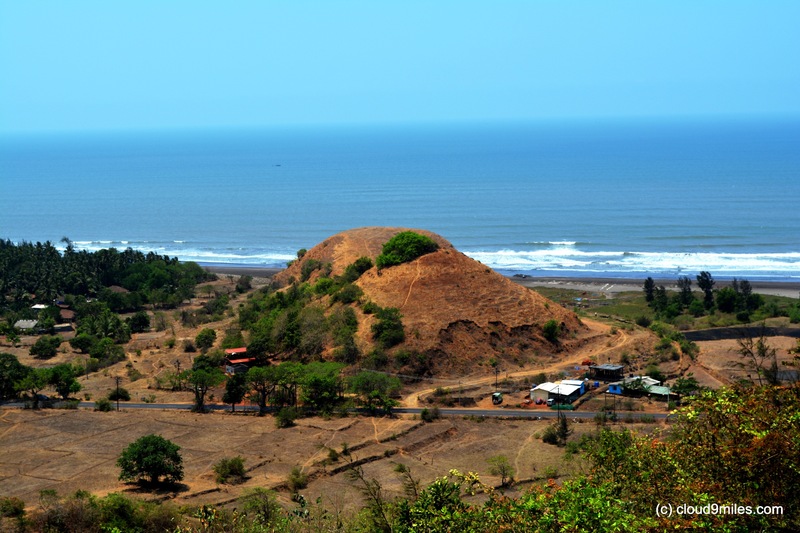 After spending some time we started our journey towards Murud and within 30 Minutes we reached there. 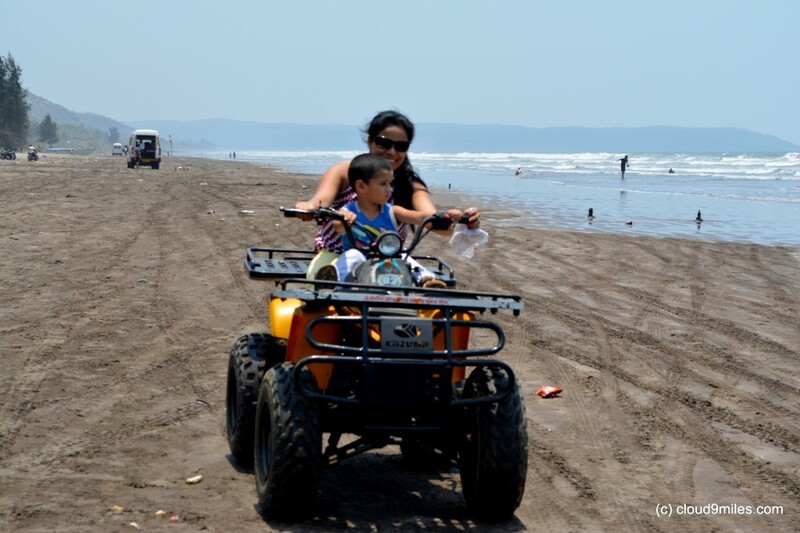 After having such an affluent dose of nature we did not get fascinated by Murud beach. 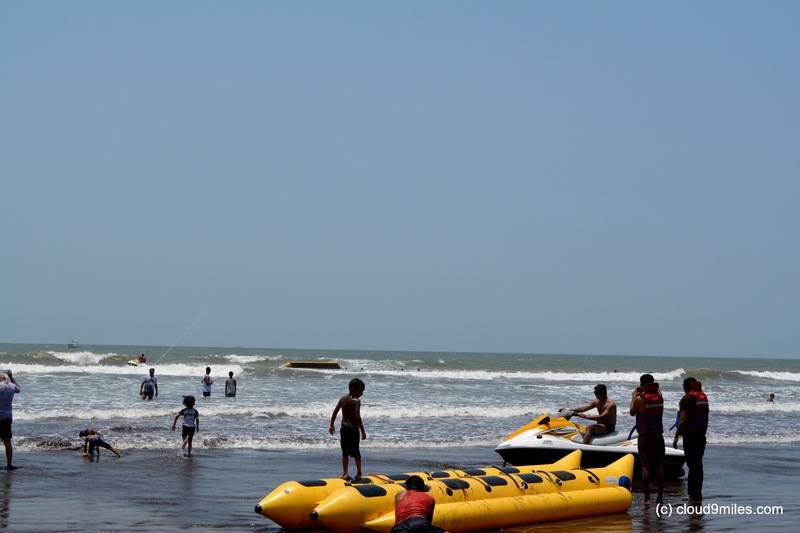 But yes you can enjoy the water sports here and the beach is commercialized as well. 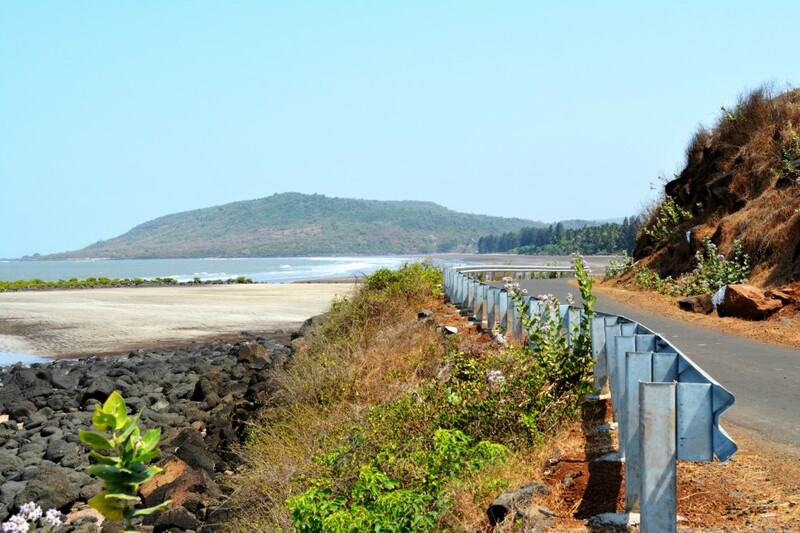 Murud has better staying options as compared to Anjarle and one can plan accordingly as the difference between the two places is just 20 KM. We dropped our idea of staying there and started our journey back to home. We left with the sweet memories of the untouched and unspoiled beaches, abundance of mesmerizing beauty, sunset, river, hill, backwaters, picturesque landscapes, sumptuous Konkani food, fresh environment, & the hospitality offered by the locals. This place can easily be developed into a good tourist attraction. 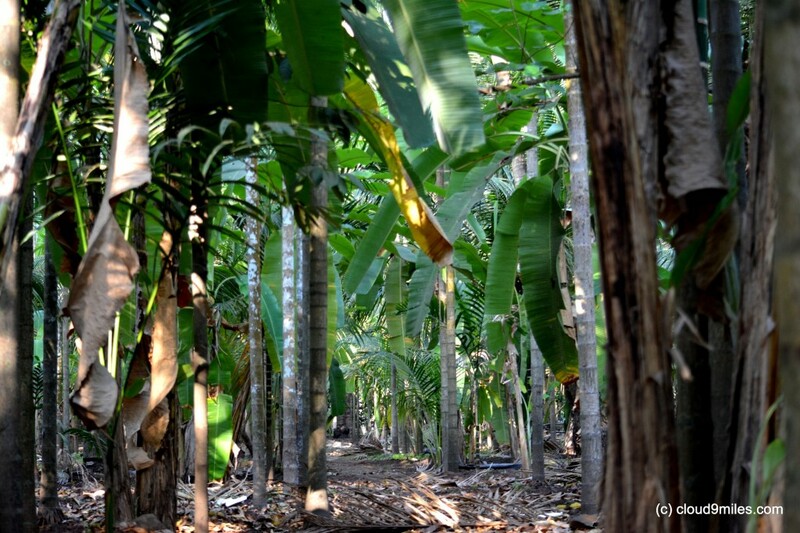 This place has really come up as a surprise to us; the offbeat destination that we were looking for. This is totally an offbeat location with limited facility of stay, food, and entertainment. If you are thinking of a luxurious stay then its better to avoid this place but if you are looking for solitude and beauty then this the place to be in. For children you need to be extra prepared with food stuffs. Believe us you can spend undisturbed and quality time with your family here. 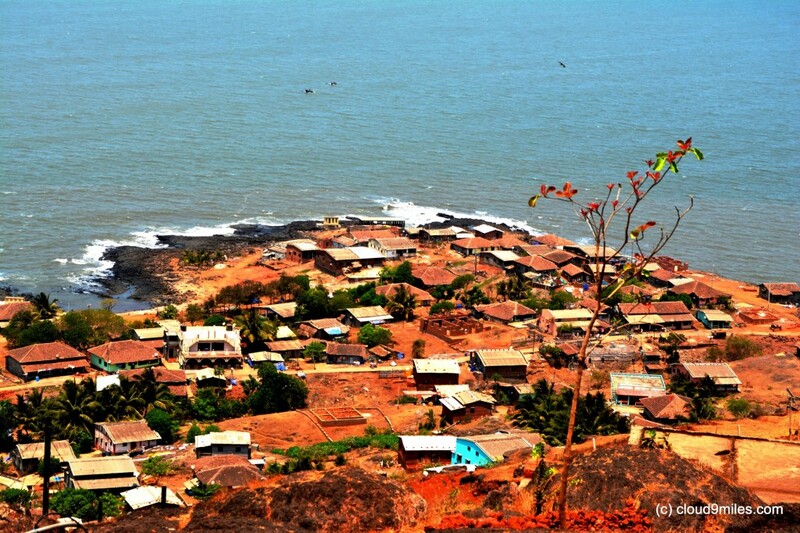 Accommodation: As there is only one resort at Anjarle, one must find rented house to stay. 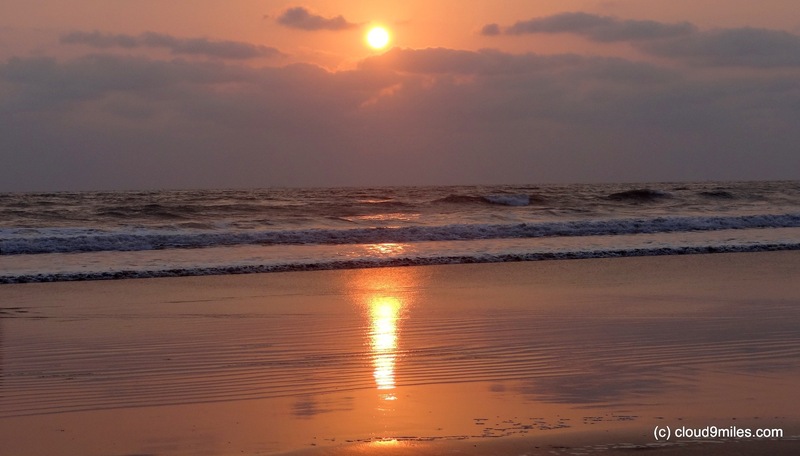 You can also stay in beach resorts or hotels at Karde, Murud, Harnai, Ladghar or Dapoli. 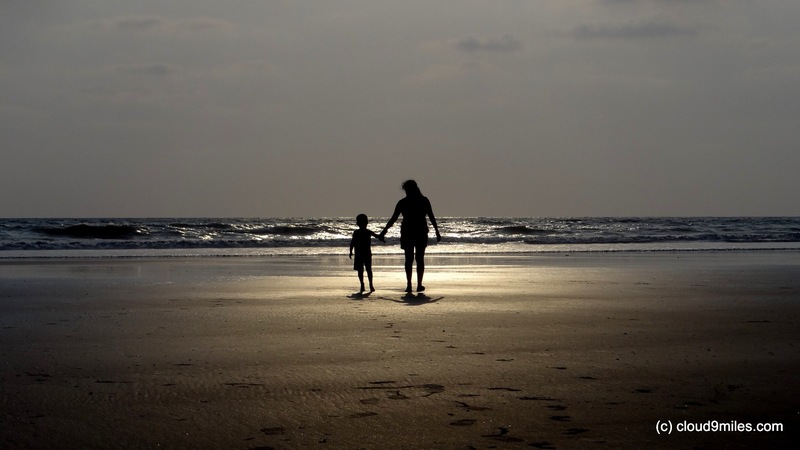 Child favourable Destination: We must suggest that you should carry additional water and food stuffs for your child as the options are limited in Anjarle. Rest you can easily enjoy with kids on the beach as it is safe but always take precaution while venturing into the sea. awsome place.how do u ppl find such places.v well written.nd the fun rides are very tempting..
if you have the desire nothing can remain hidden…fun rides don’t tempt us anymore but yes you can have lots of fun in doing these water sports..
That was a great review of the place. The house in the 11th picture is my fore-father’s. The place is awesome and I miss it so much when I am in the city. Can you give contact number of homestay at Anjarle? 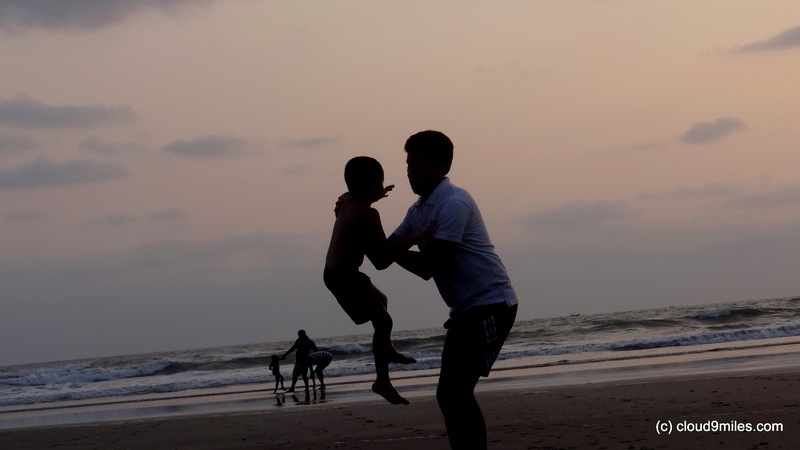 Hi Omkar, there is only one beach resort in Anjarle but you can get homestays there. There are few hotels further down the road. Unfortunately we have lost the contact details of the homestay where we have stayed. Hi, thanks for this info i was having a tough time to find it even on google, much help. Is that fort accessible ? Thank you Suraj! Not sure about accessibility to the fort. Hey guys, great great review out there! Thanks! I just wanted to ask if we can camp on beach at night! ?Is it possible and safe? Would appreciate if you hit me back!